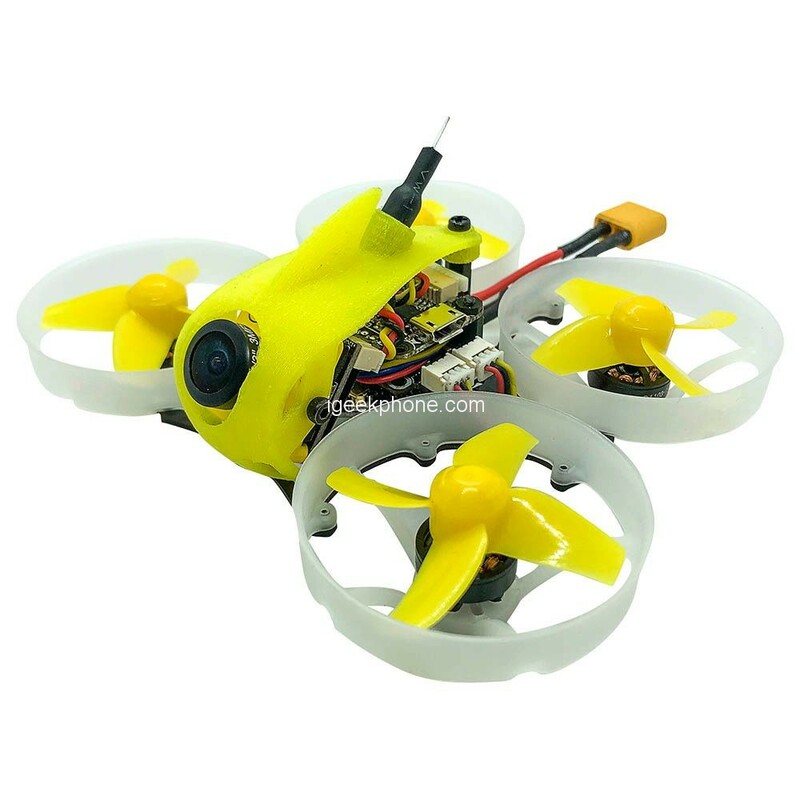 This FullSpeed TinyLeader Brushless Whoop is a fantastic mini FPV racing quadcopter. The wheelbase is only 75mm, suitable for indoor flying. The built-in 5.8GHz 6 bands 48 channels FPV transmitter supports most 5.8G goggles/monitors. You can set the parameter of the flight controller Beta flight configurator. 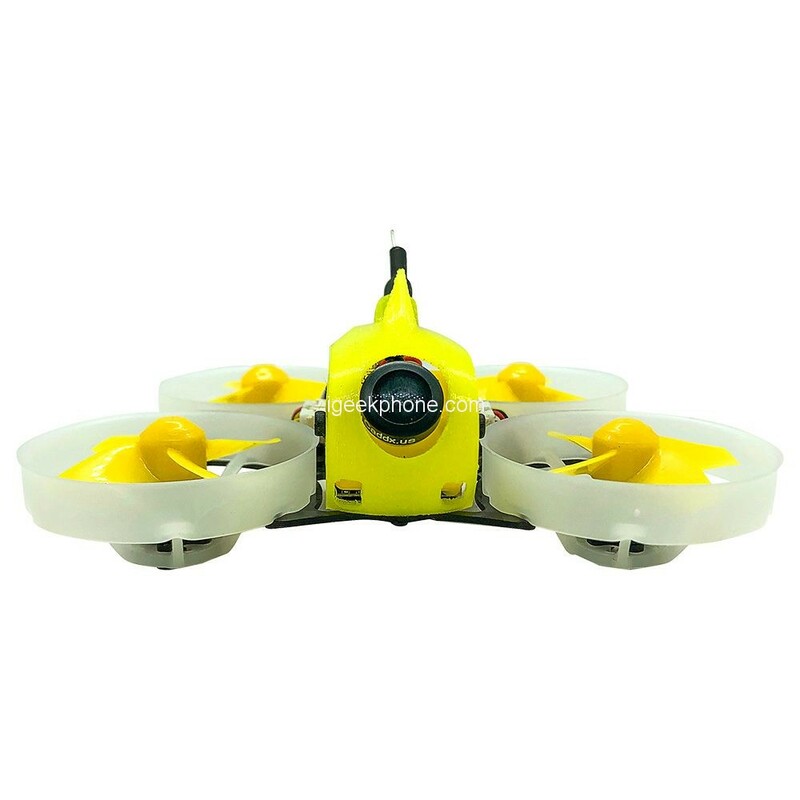 It is BNF version, which can be controlled by transmitters with Frsky / Flysky / DSMX (Optional). FullSpeed TinyLeader Brushless Whoop made of good Plastic / Carbon frame material and ergonomic, lightweight design to fly in the sky at high speed and stability without any problem in normal conditions. its range is also good though operator can operate the quad with good range and fluctuate the speed with roll and hover. The FullSpeed TinyLeader Brushless Whoop weights just 41g (without battery) and the wheelbase dimensions are 75mm. The 4 propellers are well protected from hits, carefully-tuned. On the top of the drone, we see a small 1/4 Inch FullSpeed FSD TX600 25mW-600mW VTX FPV Transmitter transmission system, a 48CH frequency for your choice. For control comes with Built-in FullSpeed FSD408 (F411 FC) Flight controller, support Built-in Betaflight OSD configurator. 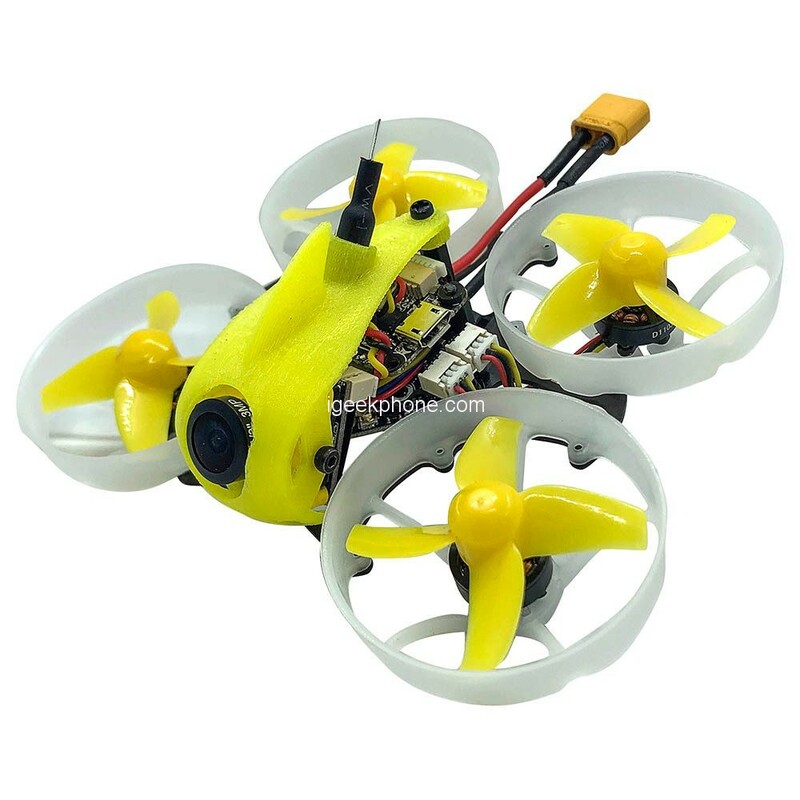 The FullSpeed TinyLeader Brushless Whoop is equipped with an 1103 11000KV with connector motor, powerful but not violent, suitable for indoor flying., which is more powerful from most of the well-known motors used for Tiny Whoop style aircraft, without encountering considerable oscillations. The FullSpeed TinyLeader Brushless Whoop is a strong, racing drone for indoor use with a small 1/4 Inch 5.8G 25mW camera. You can order it at Geekbuying and be using our coupon code: DCVRATKO the final price will drop to $112.99!